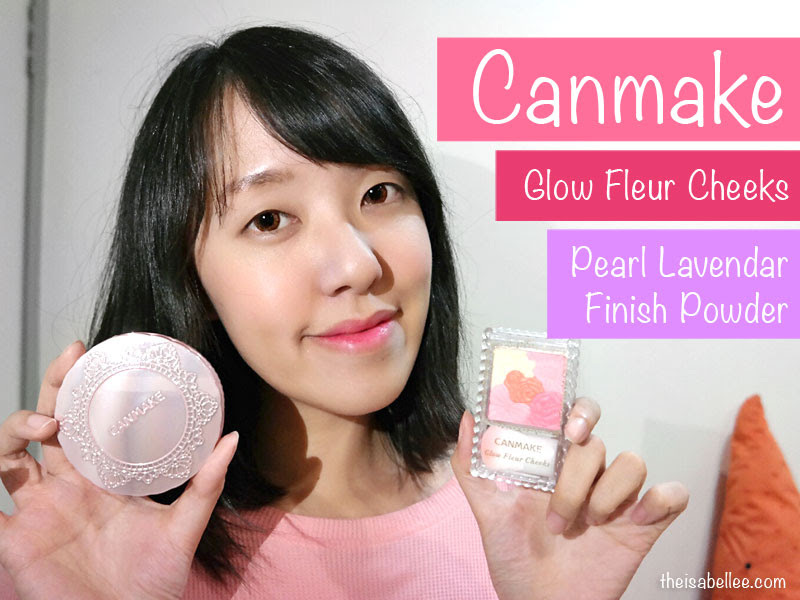 Canmake has been a well known brand from Japan for their quality and cute packaging. Was super excited when I got their email for a product review. The 2 items I received were the Finish Powder and blusher. Watch my video review on YouTube below! 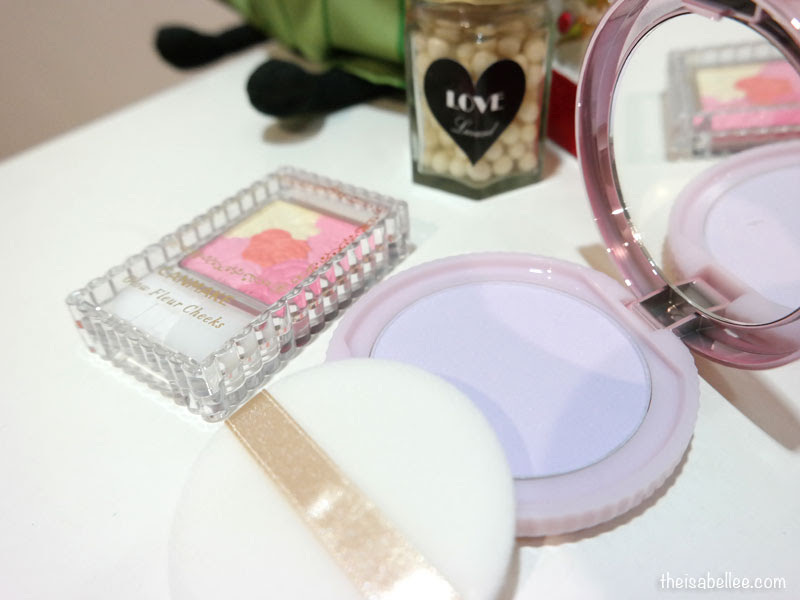 I've been experimented with something interesting - applying purple powder on my face! Purple tones are known to brighten your complexion but the colour is very intimidating at first. 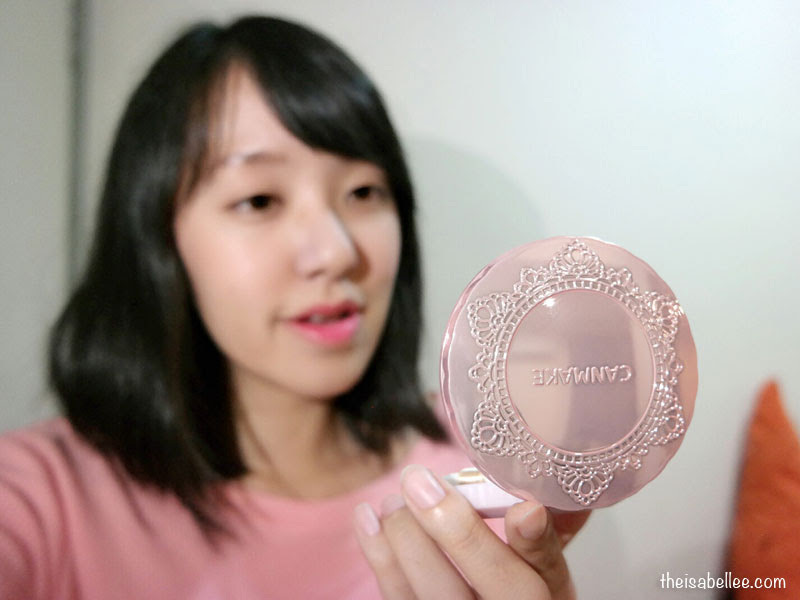 This finishing powder is meant to be applied after your foundation to set it or to touch-up your makeup. I find it effective at refreshing your makeup after a long day as it also removes the shine. I also used this by itself without foundation but it really adheres better on top of foundation. LOVE the design of the compact! It's so feminine and pink yet not cheapo looking. Inside is a super soft puff and mirror. 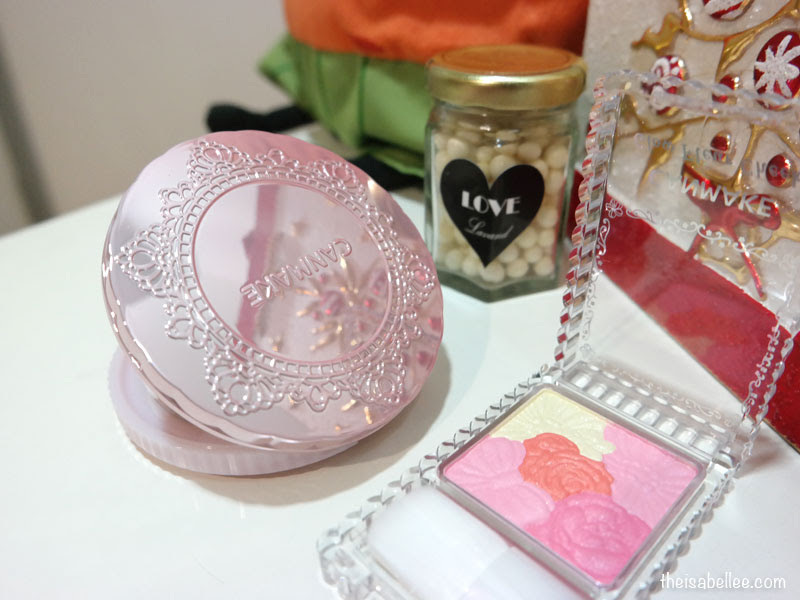 The puff combined with the hard texture of the powder ensures you do not take TOO MUCH powder. You want bright skin; not purple skin. 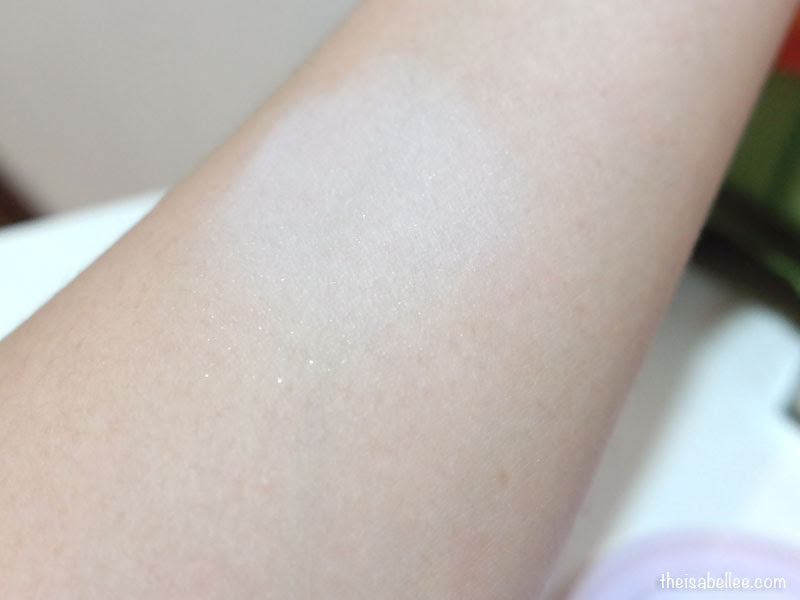 The powder's swatch was a pale lavender with tiny shimmers. It looks really pale for something you apply on your face but as you can see in the video, it looks fine! It doesn't make you look pale and pasty but instead it brightens your skin tone naturally. Canmake you've done it again! 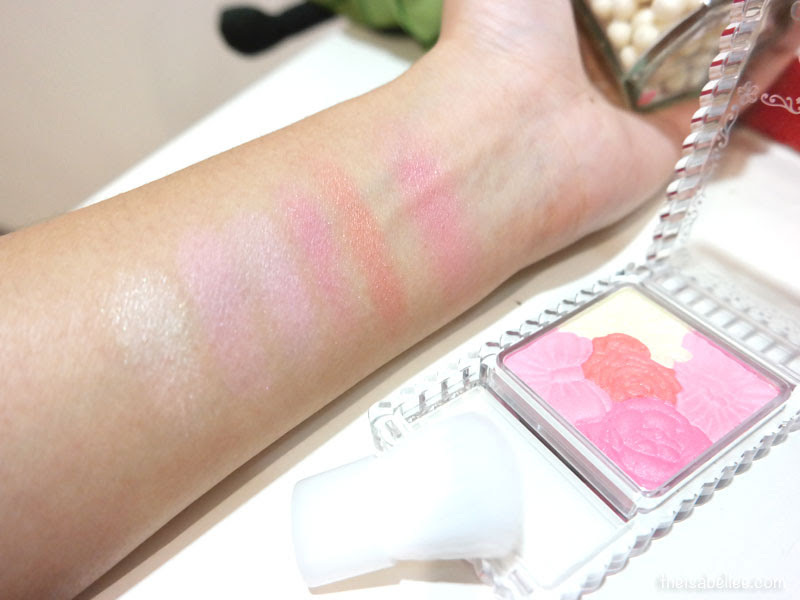 Their Glow Fleur Cheeks blusher is crazy pretty! There are 5 flower colours in one square which you can technically apply with different combinations. However, I love the outcome when all 4 colours (excluding highlight) are combined! It's the swatch on the right. I'm into natural makeup so the light colour really appeals to me. I use the gold-cream shade to highlight. It gives a really nice glow to your face. that finishing powder looks interesting! looking glowy!